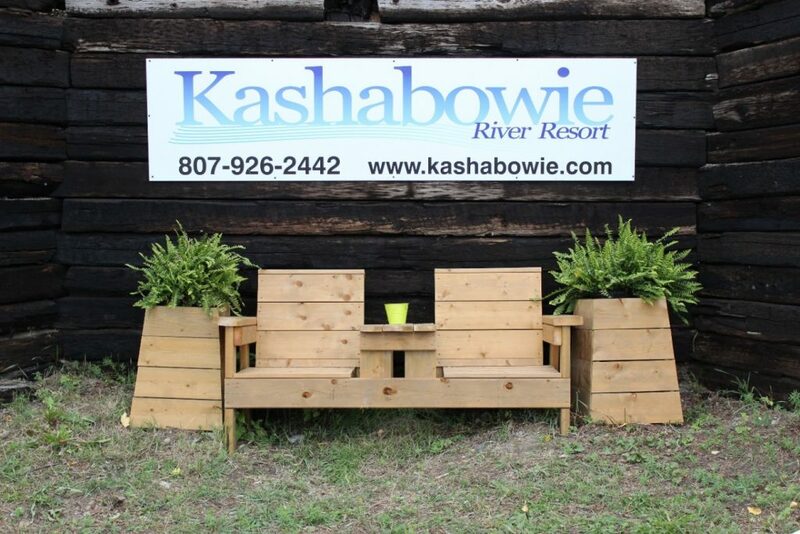 Kashabowie River Resort on the Fast Track to Success! In June 2018, Kashabowie River Resort owner/operators, Tracey and Kyle Vescio, took part in Tourism Excellence North’s (TEN’s) Fast Track to Success (FTS) program, with TEN Specialist, Clinton Belcher. The pair heard about the FTS program while taking part in a TEN Best Practices Mission in Spring 2018. The Mission was led by TEN Specialist, Chris Hughes,. As a seasoned pro, Chris laid out the benefits of the FTS program, and Tracey and Kyle contacted the TEN office in short order to schedule their visit. What is the FTS Program? TEN’s Fast Track to Success (FTS) is a one-on-one coaching program, delivered by a skilled consultant retained by TEN – called a TEN Specialist. Working with owners and operators at their business during their operating season, over a 24- hour period, the TEN Specialist provides practical and useful advice to improve the operation. The coaching opportunity includes a pre-visit survey, on-site visit by the TEN Specialist, recommendations that ‘can be implemented the next day’ and two post-visit opportunities for support. Did you enjoy your experience with the TEN Specialist? Very much so. Were they knowledgeable? Clinton was very knowledgeable. It was a new set of eyes and a fresh viewpoint looking at our business which for us is basically the same, day in and day out. Clinton does a lot of travelling all over, so the suggestions were coming from someone who has a lot more experience than us as far as a consumer aspect goes. As a result of the program, did you make any changes to your physical site? We created a Social Media wall which he suggested. It was made from what we considered to be an eye sore of a retaining wall – for very little money and with very little time. Did you raise a price point as a result of the changes you made? We will be raising our price point slightly for this upcoming season and more importantly implementing minimum booking requirements for most of our cabins. Did you get more visitors as a result of the changes? Or a different type of visitor? We are working on a different type of visitor (more conservation minded). Many of our guests have been coming for years and are here for the fishing (limits of each species). This does not necessarily concur with our views on the resource. We’ve always been concerned that if we ask our customers to change their ways (catch & eat or let the big ones go) they would stop coming. Clinton encouraged us to turn around our way of thinking and to use what we thought would be a negative as a positive. Advertise and promote the fact that we are a catch and eat resort or promote conservation limits, etc. The result may be that we attract a new type of visitor. Did you make any changes to your web presence? We’re currently in the process of updating our website which will promote the way we feel about our resource – conservation and sustainability. Want to know more about the TEN FTS program? • Operations under transition. FTS can provide objective advice for operations under transition or thinking about it (i.e. ownership, family succession, new markets/products). Valued at over $2,500, there is a fee of $300 for the coaching session with the remainder supported thanks to investments from Destination Northern Ontario and Ministry of Tourism, Culture and Sport. How do I get involved? It’s easy! Contact TEN Coordinator, Karen Peacock, at info@tourismexcellencenorth.ca or 705-523-2228 to discuss your business’ suitability for the FTS program and next steps.